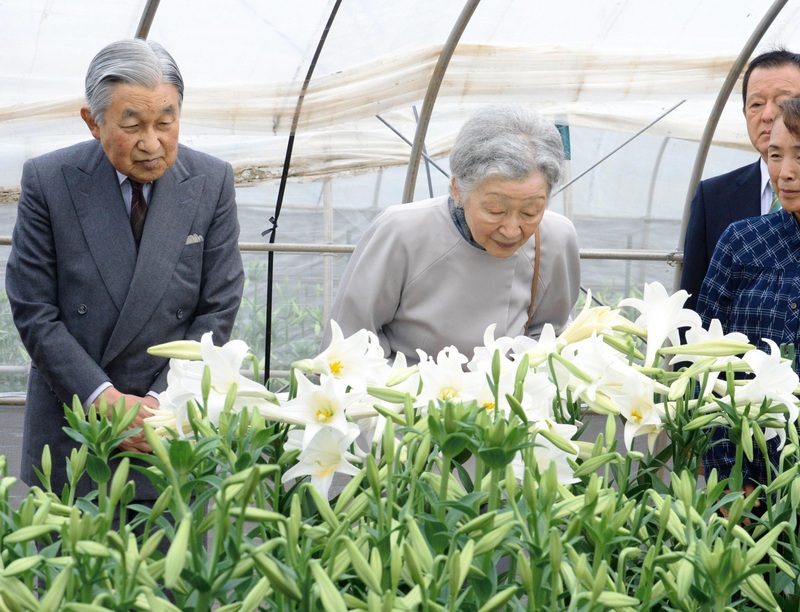 KAGOSHIMA - Emperor Akihito and Empress Michiko visited a lily farm and an elementary school on Okinoerabu Island on Saturday to top off their three-day trip to the remote islands between Kyushu and Okinawa. At the school, the Imperial Couple tasted raw brown sugar after watching pupils make the local specialty as part of their curriculum. All of the 80 students sang a folk song as the pair departed. 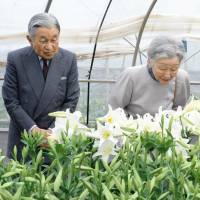 The trip to the islands in Kagoshima Prefecture reflects the 83-year-old Emperor’s desire to visit them before his abdication, which is expected in the next few years. The pair had planned to travel to the islets in 2012 but postponed the trip due to the Emperor’s poor health, according to the Imperial Household Agency. On Thursday, they visited Yakushima and met residents from nearby Kuchinoerabu Island, 12 km away, who evacuated following a volcanic eruption in 2015. Some of the island’s 140-odd people have been able to return home.